Clusters of bloom drooping downward is a lovely sight. Iosis captured that fleeting sight in Wisteria. 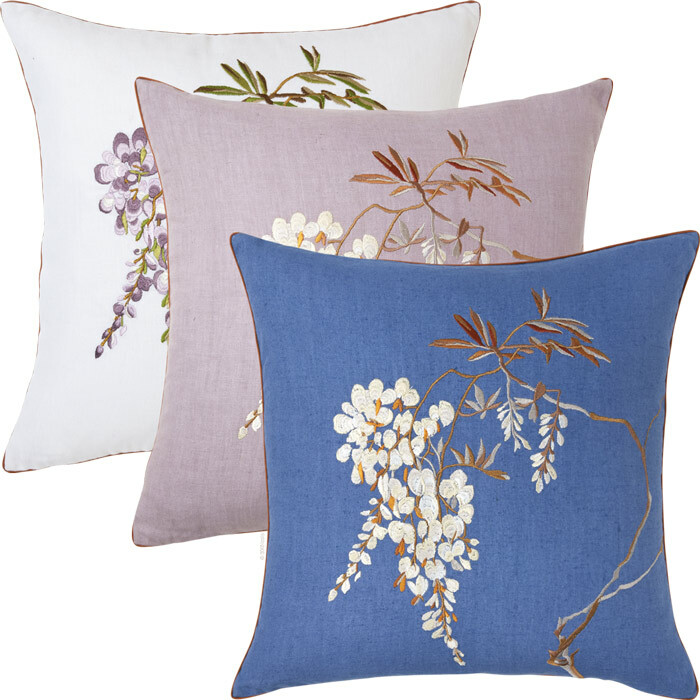 This linen decorative pillow is offered in 3 colorways displaying a cluster of embroidered blooms, leaves and stem.